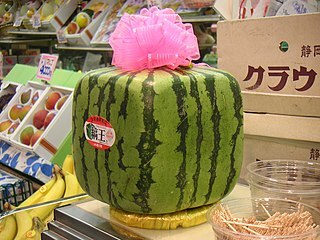 What Technical Writers can learn from Square Watermelons? For years watermelon lovers have struggled to fit the large round fruit in their refrigerators. In a country like Japan, where real estate resources are scarce, this problem gets amplified several times. Another problem they faced was trying to cut the fruit when it kept rolling around. Indian technical writing industry is often blamed for taking technical writing jobs away from North American markets. In various mailing lists, this issue raises its ugly head from time to time, starting a heated debate about the threat of outsourcing to non-English speaking countries such as India. Tom Johnson, in his article about technical writing jobs, considers outsourcing (of technical writing jobs to India) as a threat to the technical writing industry in North America. My name is Gurpreet Singh and I’m a student of technical communication. I’m pursuing a yearlong post graduate certificate in technical communication from Seneca College, Toronto. Before joining this program, I worked as a technical writer for eight long years in New Delhi, India. A lot of people in my class asked me to explain how it feels to work as a technical writer. They wanted to know if technical writing is exciting or does it becomes boring after spending few years down the line. The interesting thing about technical writing is that technical writers enjoy a multitude of roles and responsibilities, which includes delivering documentation for a plethora of products while meeting stricter deadlines. Thus, no two work-days are alike. Each new day starts with a fresh set of challenges. These challenges make the day and the life of a technical communicator all the more exciting. My day usually starts with a morning scrum meeting. Each meeting usually lasts for 15 minutes. During the meeting, each team member reports about what they accomplished on the previous day, issues or major showstopper, and the plan for the day of the meeting. These meetings are also called as stand-up meetings, because the goal of these meetings is to keep them brief and productive. Hence, all members attend these meetings standing instead of sitting. Every Monday, we have a longer weekly meeting with our manager to discuss the status of projects, issues, challenges, and so on. Team meetings also provide a forum to discuss team-specific internal documents. For example, the Style Guide. Discussions about purchasing new tools also take place during these meetings. Monday also happens to be the planning day when we set plans for the week including meetings with subject matter experts (SMEs) (blocking time in their MS Outlook calendar is essential! ), training calendar for self, and scheduling meetings related to various internal and external projects. Rest of the week is usually a good mix of long write-edit review cycles, meetings, and training. Check corporate emails with a cup of hot Cappuccino: I receive most of the emails from my R&D team based in Santa Clara, California. Due to the time zone difference, they are 12 hours behind us (my night is their day). So, while I’m having a sound sleep, my colleagues continue to develop new features during their day, and send me various documentation requests. Listen to voicemails: Few of the SMEs I work with hate writing long emails. Hence, they leave voicemails for me, which may include information about a new feature. Works great! Attend documentation meeting: As a mentor, I attend documentation meetings to troubleshoot any issues faced by junior writers, or to redirect them to a specific group/person. Moderate Wiki pages: We use Confluence Wiki to author, review, collaborate, and publish technical documentation. A nightly build generates chm, html, and pdfs, directly using the content from Wiki. The beauty of this system is that SMEs (R&D, QA, Sales, Marketing, and Management) can directly edit and add content, instead of routing every request to a LP Engineer. I edit the updated or the newly added Wiki pages for grammatical mistakes, accuracy, and adherence to our internal writing style sheet. Install new software build: Every morning a fresh software build is made available in the repository. After installing, I usually play around with the application to check if there are new enhancements/fixes that are displayed in the GUI. Though, I often get documentation requests in form of emails or bugs logged in Bugzilla, it is not uncommon to detect a new setting popping in the new build. Close documentation bugs/New Feature documentation: Every day I run a query in Bugzilla to check new documentation bugs/requests filed for me (New feature documentation requests are also filed as bugs). Some bugs need 5 minutes of effort while others (majority) may require an effort of couple of hours. Occasionally, I have bugs (enhancement requests) that might take a few weeks to get completed. Zero bug report is what my eyes dream of seeing everyday. Lunch: Home cooked food with a few friends in the office cafeteria: A major stress buster for my day! Research using internal/external networks: My work involves documenting extremely technical products for an audience that comprises Engineers and Scientists (who prefer no-nonsense technical documentation). Thus, I try to learn as much as I can about a new feature before I write about it. Check the Doc Project Schedule: Since I work on multiple projects, I keep a tab on all the deadlines (daily/weekly) and try to make sure that everything runs smoothly. In case of a slippage in the schedule, I schedule a meeting with the project manager to mitigate any impact by lowering the scope, or by requesting a fresh deadline. Conduct Trainings: I often get requests from various teams/groups within my organization to conduct training on Wiki, writing, presentation skills, and Lean/Six-Sigma topics. Conduct Lean Meetings: As a Lean/Six-Sigma champion for my team, I lead few internal projects to reduce technical writing process timelines, reduce documentation defects, and improve productivity, and to find areas of automation with our technical writing tools or processes. Coffee Break: Catching up with an old friend with a hot cup of coffee is nothing less than having an apartment in the heavens! Conduct Toastmasters Sessions: Being the president of our Corporate Toast-masters Club, I often conduct the toastmasters session that help our club members (from various departments and placed at different levels in the hierarchy) to develop their presentation, public speaking, and leadership skills. I’m an award winning humorous speaker! Conduct Peer Review: Every documentation project in my team has an author and a peer reviewer. The peer reviewer acts as a dummy user and tries to validate documentation for usability and functional errors, which are often unnoticed by the author. I review two projects in my team. Similarly, my own projects get reviewed by two different authors. I always get amazed by the fact that how easily others can catch errors in our work, which we fail to see, even after several cycles of internal testing. Say Sayonara to work and head back to home-sweet-home! Wait: Meeting with the Santa Clara R&D team is at 11.30 pm, and it extends well past midnight: Another disadvantage of the global work environment. But hey, it is still fun to be a technical writer working with global teams!